A LONDON-BASED law firm is providing advice to a number of survivors of the Magdalene Laundry system who currently reside in the UK. Hodge Jones & Allen worked with many of the claimants of the Irish Redress Board – set up for survivors of Ireland’s residential institutions – and is now representing those who were also held in Magdalene Laundries between 1922 and 1996. Senior Partner Patrick Allen said, “We are working closely with the victims of the Magdalene Laundries to ensure that as many of them as possible receive the fair, decent treatment and compensation that they deserve. Allen noted “one interesting caveat” in the terms of reference given to Justice John Quirke as he prepares his three-month review. It says that monies in the compensation fund for survivors are “directed only to the benefit of eligible applicants and not on legal fees and expenses”. “I fail to see the logic behind this because it would mean applicants having to depend on the administrators of the scheme to pay them the correct amount or they would have to rely on charitable help or pay lawyers from their award. In an interview with TheJournal.ie, Allen added, “It is the sensible thing to do. Without it, women won’t be able to apply, will submit inadequate or incomplete forms or be forced to rely on help from staff running the scheme which would not be independent. That is not satisfactory. He said that his firm do not wish to charge laundry workers who they represent. Hodge Jones & Allen worked with advocacy group Justice for Magdalenes last year to draft a Restorative Justice and Reparations Scheme that was submitted to Minister Alan Shatter in October. Since the Taoiseach’s official State apology on 19 February, almost 800 people have contacted the Department of Justice about the fund that will be set up for workers. Survivors are being asked to fill out a form on the Department’s website and include details of the institution they were based in, their date of entry, length of stay, reason for entering laundry, and details of any records they have from the institution. The new fund will likely cover the pension payments and other benefits including medical cards and psychological and counselling services in lieu of the unpaid work women undertook during their time in the laundries. Former judge Justice John Quirke is leading a three month review aimed at establishing the best ways in which to provide redress to the women and will advise on the operation of the fund including the nature and amount of payments. 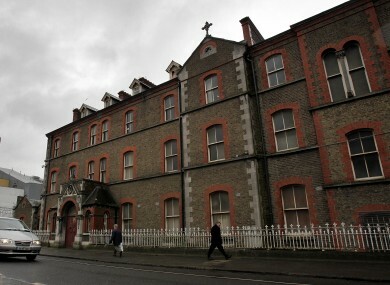 The fund was set up in the wake of Senator Martin McAleese’s report into State involvement at the Magdalene Laundries. Many of the women had hoped to avoid long legal proceedings and although most welcomed the report, apology and initial details of the redress scheme, there are still questions to be answered. Advocates for the women have asked TDs and Senators to ensure the process is transparent and that there is an appeals avenue available. JFM has also called for independent monitoring of the scheme and the provision of independent advice and advocacy assistance. Email “Calls for Magdalenes to be given independent legal advice”. Feedback on “Calls for Magdalenes to be given independent legal advice”.